At 300 meters above sea level, surrounded by the Mediterranean greenery, the villa is located in a particularly scenic spot of the hill over the Valley of Intignano from which you can enjoy breathtaking views of the Pontine Islands (Ponza, Ventotene and Santo Stefano) . The simultaneous presence of mountains and sea make it particularly favorable nature of the places with a very temperate climate quite suitable for tourism all year round. The property is surrounded by a vineyard, hence the reference to grapes in the name of the villa. The presence of a large fence and access gate promises to make security and privacy. With a pleasant walk you reach the woods and small hill paths. Possibility of hiking and mountain biking, horseback riding the trails. Ideal for those who like to relax in the nature without giving up the proximity of the neighboring tourist centers: only 7 km from the center of Itri, fortified village dominated by its Norman castle with numerous witness to Roman times (the Via Appia) and the Sanctuary of the Madonna Civita of place on top of a hill away from the village and set in the context of the Monti Aurunci Regional Park; 8 km from Sperlonga with a caratteristic old town, the marina and sandy beaches; 17 km away from Gaeta with its monuments, the Monte Orlando Park with its military strongholds Bourbon and beautiful beaches; in pizzerias and restaurants of the tourist centers you can savor typical specialties especially seafood with fine wines, domestic and imported beers. From May to October we organize various events. In little more than a 'now you can reach Rome and Naples. 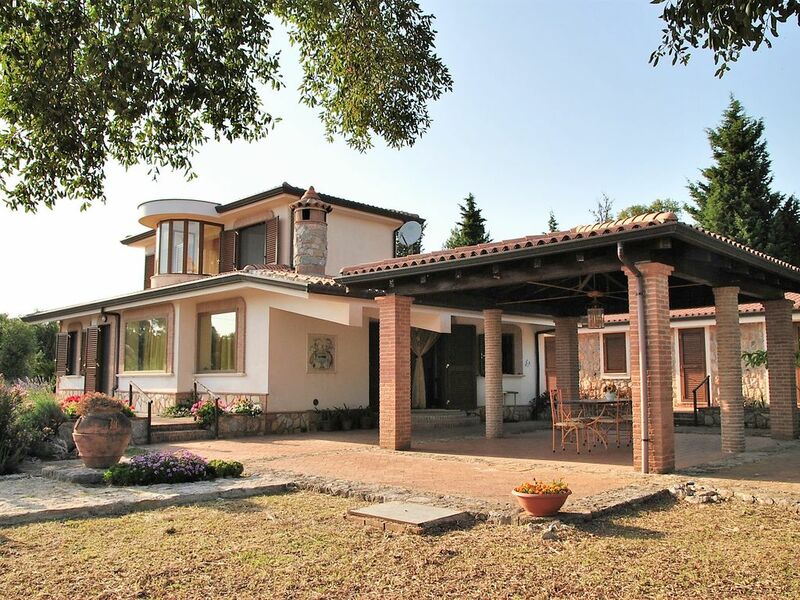 Maison: Detached villa of 120 square meters for 7 people on two levels. On the ground floor entrance hall, equipped kitchen, spacious living room with fireplace and French windows to the garden, bathroom with shower and washing machine, double bedroom.